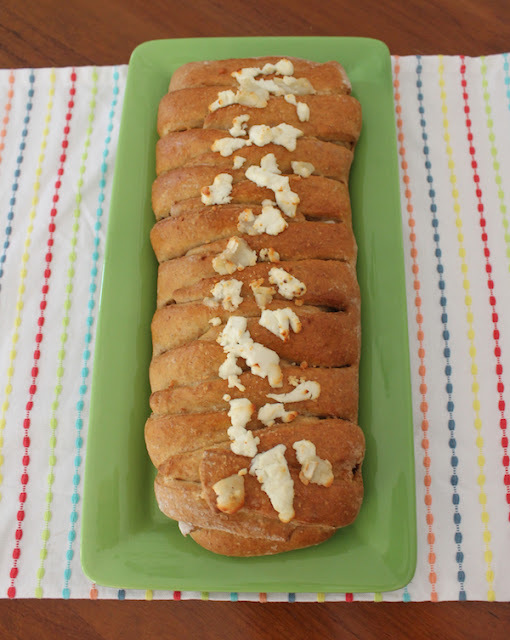 Caramelized garlic and chèvre - goat cheese - fill this wonderful savory loaf that is then topped with more cheese. Set this on your brunch table and watch it disappear! 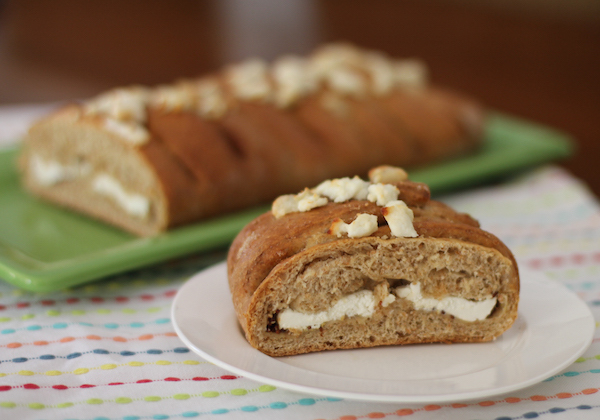 Just the words caramelized garlic chèvre stuffed bread make my mouth water. 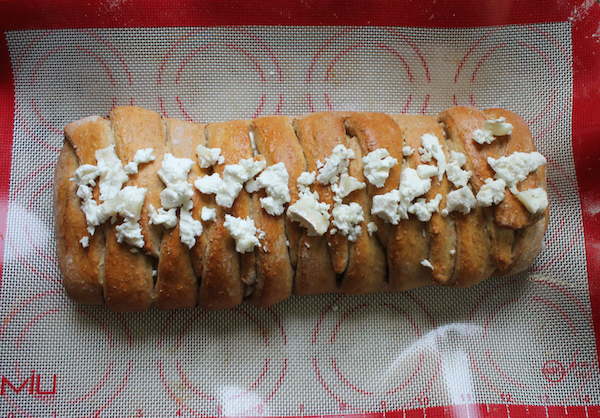 You should have smelled the house while the garlic was caramelizing in butter and then while the loaf was baking! Pretty much torture, but fortunately there was relief in sight. 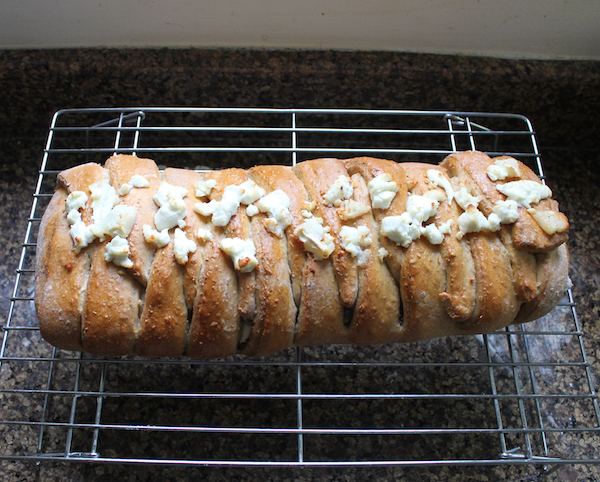 This month my Bread Bakers group is featuring garlic in honor of National Garlic Day on the 19th of April at the instigation of bread baker extraordinaire and our host this month, Karen of Karen’s Kitchen Stories. You might recall that I participated in Garlic Day celebrations the last two years, making slow-roasted lamb with 40 cloves of garlic in 2014 and garlicky lobster shrimp scampi in 2015. This year time got away from me so I was grateful to Karen for making sure that one of my favorite national food days did not go by uncelebrated in this space. This recipe was adapted from Thyme For Cooking. In large bowl, dissolve sugar in water and sprinkle in yeast. It should foam up within a few minutes. If it does not, get some new yeast and start again. In a separate bowl, whisk the milk, oil, egg, egg yolk, and salt to combine. Add this to the yeast mixture with the whole wheat bread flour and stir well. 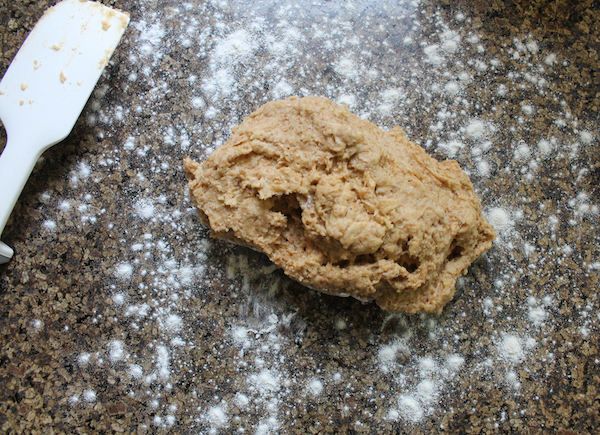 Add in about three quarters of the white bread flour and mix to make a soft dough. Turn it out onto lightly floured surface and knead for about 10 minutes, adding more of the remaining flour if the dough is too sticky. 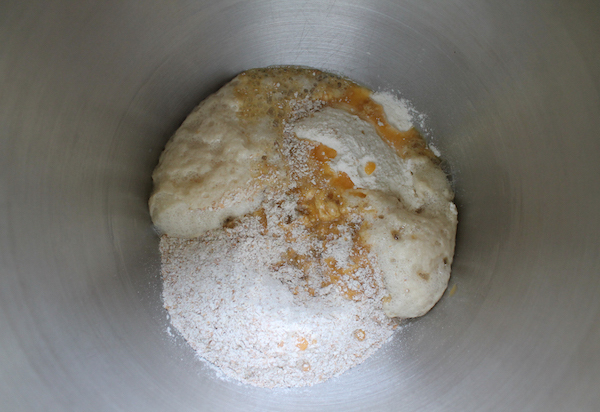 Oil your mixing bowl and pop the dough back in, turning the ball to coat with oil. Cover with plastic wrap; let rest for 20-25 minutes. 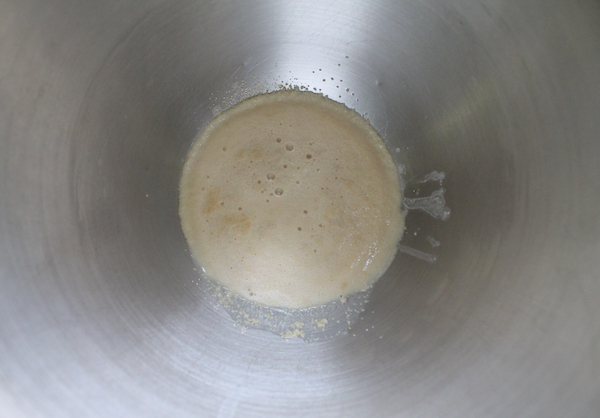 When you are using rapid rise yeast, this takes place of the first rise. If you do substitute regular yeast, leave to rise until doubled. 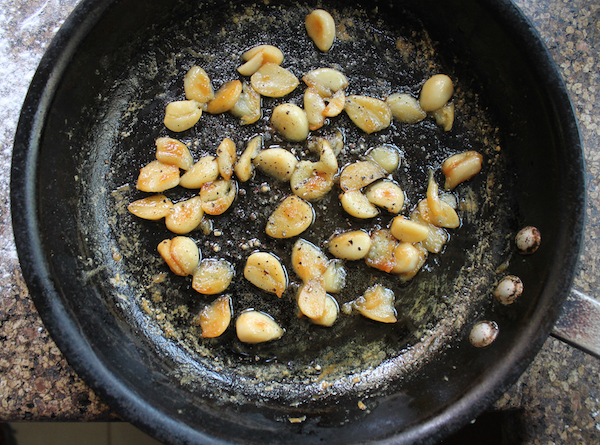 While the dough is resting, we’ll caramelize the garlic. Cut the fatter cloves in half and put them all in a pan with a tight fitting lid, with the water, butter, olive oil, sugar and a sprinkle of salt. 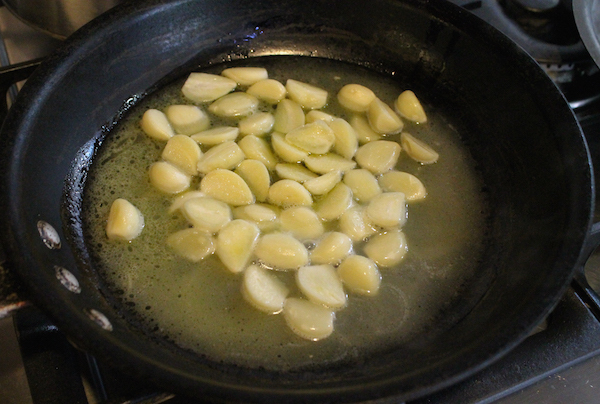 Cook covered over a medium heat for a few minutes until the garlic softens. Remove the cover and cook slowly, stirring occasionally, keeping a careful eye out for burning, until all the water has evaporated and the garlic has turned a lovely golden color. Remove from the heat. Add a few good grinds of fresh black pepper. 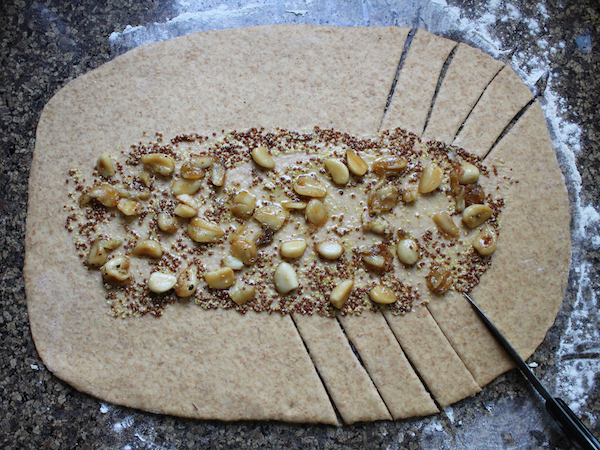 To assembly the loaf, roll the dough out into a rectangle of about 12x17 in or 30x43cm. 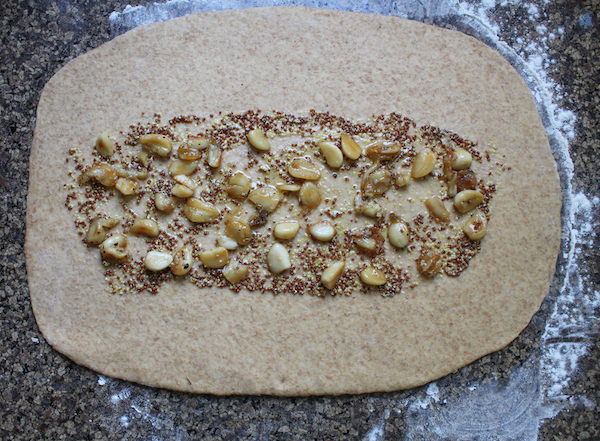 Spread the mustard up the middle of the rectangle and then scatter on the caramelized garlic. 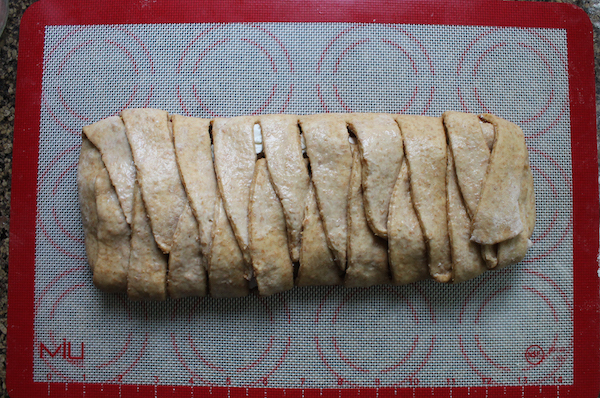 Starting near one end, use a sharp knife to cut diagonal strips all the way along the sides, up to the filling. 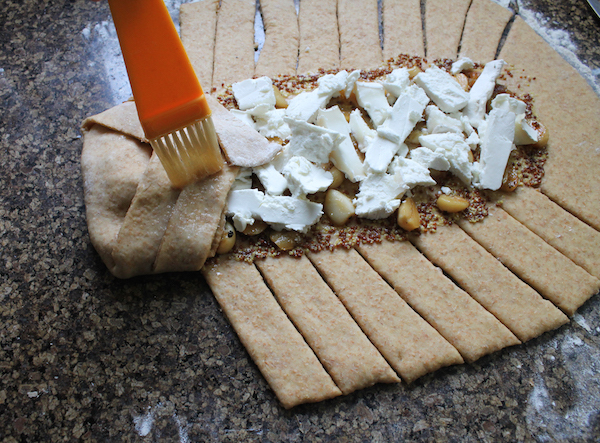 Crumble your goat cheese and set aside a good handful for topping. Sprinkle the rest of the crumbles on top of the mustard/garlic. Fold one end in and then brush the top with the beaten egg white. Fold the strips up and over, alternating sides, brushing the tops in between with egg white to help the strips stick together. When you get near the other end, fold it in. 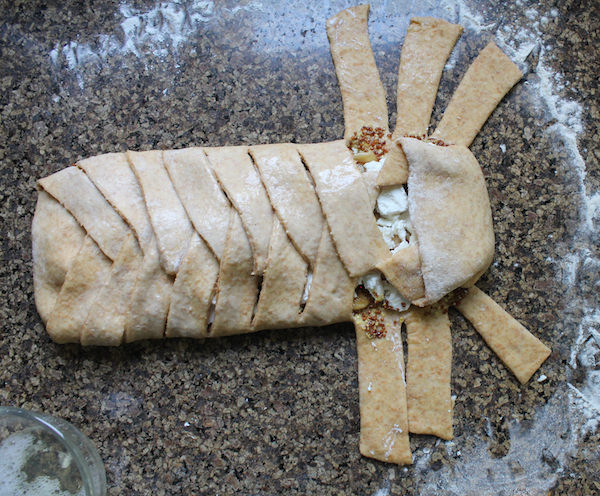 Then continue brushing with egg white and folding the strips over until all of the filling is covered. Carefully transfer the loaf to a lined baking pan. 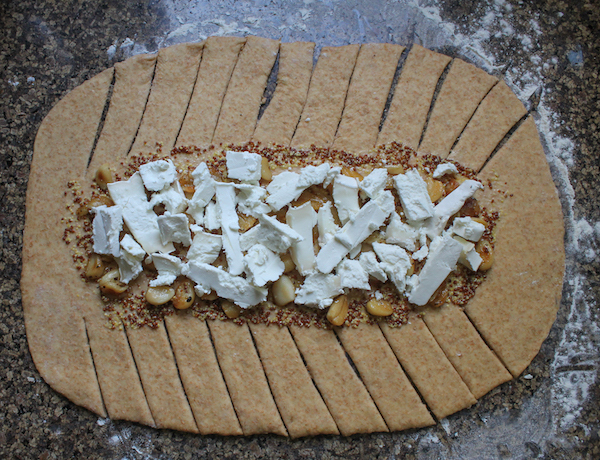 You can, of course, do the shaping on the lined baking pan but then you have to be very careful when cutting the dough strips that you don’t cut your silicone liner or parchment paper. Brush the whole top again with the whisked egg whites. Set in a warm place to rise for about 30 minutes, then preheat your oven to 350°F or 180°C. 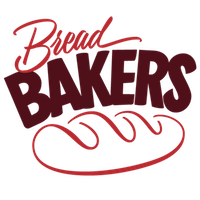 When the oven reaches temperature, bake the loaf for about 25-30 minutes or until it is lovely and golden. 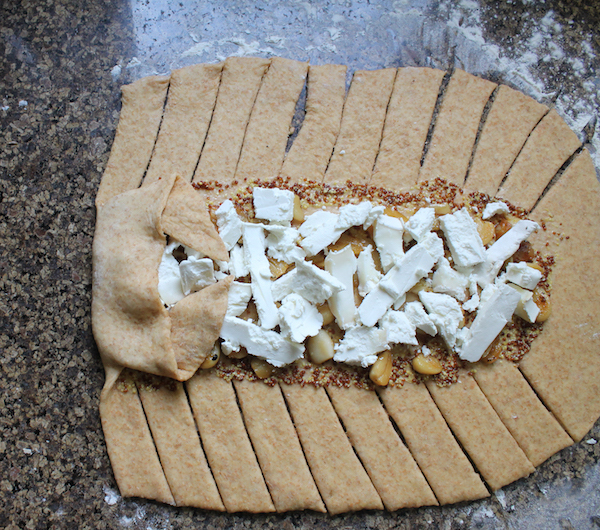 Remove the loaf from the oven and sprinkle on the reserved cheese crumbles. Return it to the oven for another 5-7 minutes or until the cheese is slightly melted and just starting to brown in places. Remove from the oven and leave to cool for 10-15 minutes before cutting. How will you celebrate National Garlic Day? 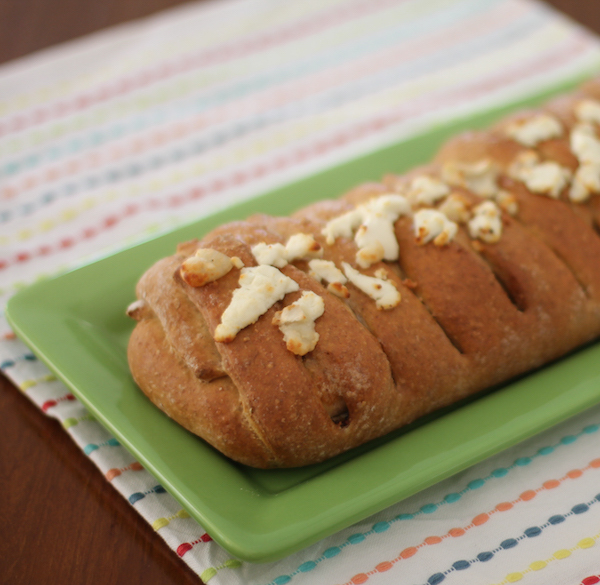 May I suggest you bake some delicious garlicky bread? Stacy, while I was reading how you caramelised the garlic I got the feeling I could actually smell it! Beautiful bread.